Baghdad (AFP) - Iraqi forces pressed Saturday their biggest offensive in months to resume their long-stalled northward advance and disrupt jihadist lines, security officers said. After recapturing parts of Baiji and the huge nearby refinery complex from the Islamic State group, security and allied paramilitary forces thrust further northward up the main highway leading to Mosul. They reached the town of Zawiyah and vowed to push on to Sharqat, the northernmost town in Salaheddin province before the border with Nineveh province, of which Mosul is the capital. 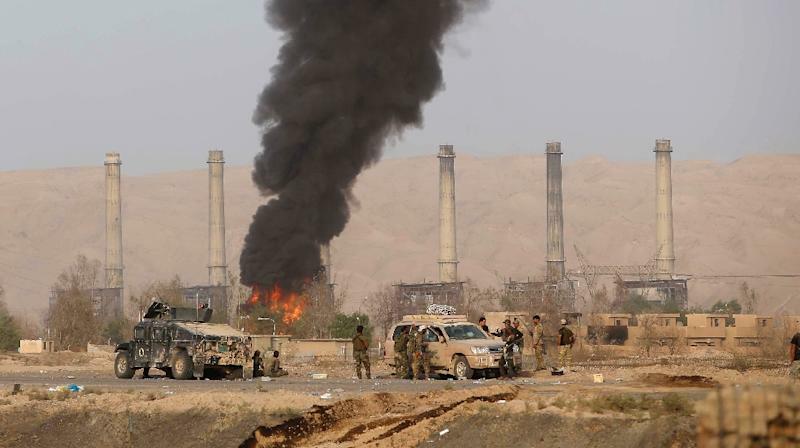 "Iraqi forces are besieging the villages of Msahaq and Zawiyah," about 25 kilometres (16 miles) north of Baiji, a senior officer in Salaheddin operations command said. Reclaiming control of that stretch of road and the villages along it would contribute to isolating IS strongholds east of the Tigris, such as Hawijah, from the self-proclaimed caliphate's heartland on the other side of the river. "Retaking Zawiyah would divide the battlefield; Daesh will be in an awkward position," retired general and security analyst Abdel Karim Khalaf said, using an Arabic acronym for IS. "Their transport towards Tikrit and Ramadi will be complicated, the secondary itineraries are long and difficult," he said. Iraqi forces, including thousands of fighters from the Popular Mobilisation organisation dominated by Tehran-backed Shite militias, were still battling IS in and around Baiji Saturday. 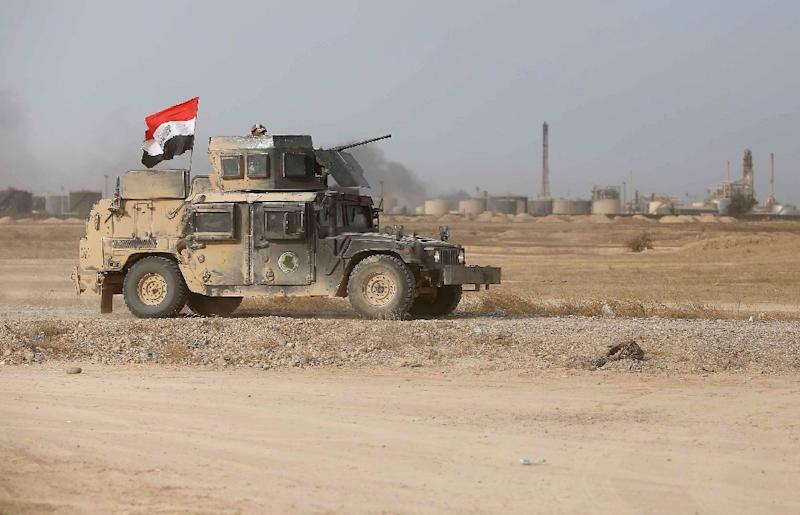 They were also securing Sinniya, a nearby town which commands access to the road leading to the western Anbar province, where thousands more forces were closing in on the capital Ramadi. Further west along the Euphrates, Iraqi troops backed by Sunni tribal fighters and US-led coalition strikes were fighting to retake the town of Baghdadi. 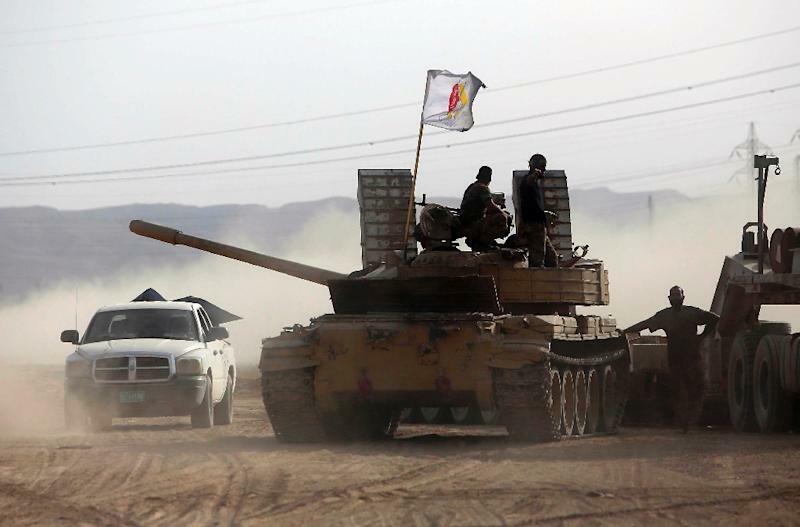 Iraqi forces' recaptured the IS stronghold of Tikrit, 160 kilometres (100 miles) north of Baghdad in April. The government then lost its last foothold in Ramadi, west of Baghdad, in mid-May. Anti-IS operations, slowed by searing summer temperatures, had since focused mainly on training and disrupting IS supply lines rather than territorial reconquest. Mosul, Iraq's second city and the Islamic State group's largest hub, is around 125 kilometres north of Zawiyah. As Iraqi forces marched past Baiji, there were several reports of residents fleeing their IS-held villages to meet the pro-government forces or turning against the jihadists. Residents of Sharqat, north of Zawiyah, told AFP that a man who had two relatives executed by IS since the jihadists took over his town last year, opened fire on IS members and killed five before being shot dead himself. Hundreds of fighters from Sunni tribes opposed to IS are involved in the Salaheddin operation.